$319.99/day. 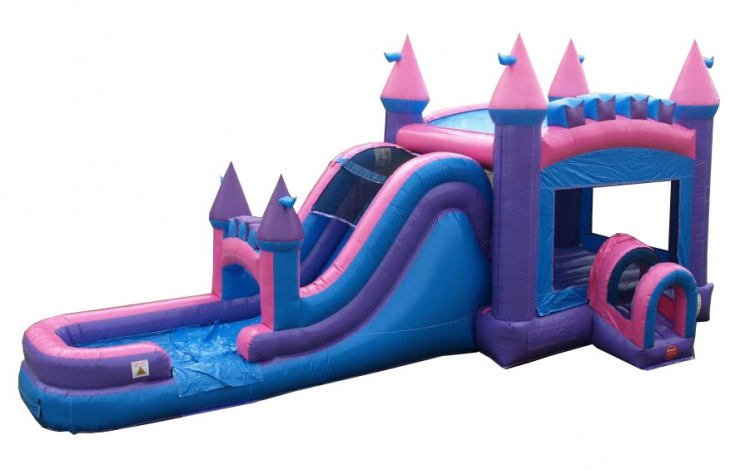 Bigger slide and a bigger bounce area! This bounce house and slide features attractive and bright pink and purple colors as well as castle spires. Item Dimensions: 32' x 16' x 15' 6"